One of the biggest consumers of electricity in some households isn’t even on most people’s radar, mostly because it’s not included in energy ratings inside the home. The culprit is the in-ground swimming pool pump and filter, which for the average homeowner can use about $800 worth of electricity. Pool pump technology hasn’t evolved much since the 1940s, using an induction motor with a lousy 35-70 percent efficiency. They operate at high speeds, can be noisy and can consume a lot of energy. Most induction pumps draw 2,000 to 2,200 watts or an average usage of nearly 3,300 kilowatt-hours per year. With some utilities operating on tier systems, this little engine is the one that could put your electricity bill through the roof. Variable speed pool pumps operate more slowly, and use the same type of magnet technology as electric motors in hybrid cars. These variable speed pumps are electronically controlled, and even though they run for longer times, their 90% efficiency rate will consume just one-quarter the energy required by an old-style pump to do the same job. 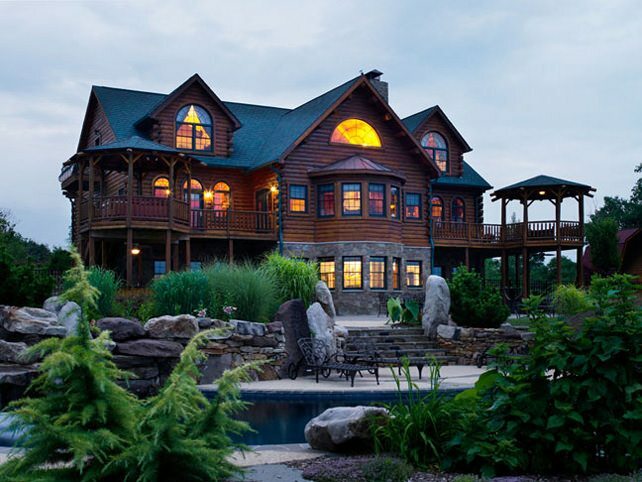 The high-efficiency pumps last longer than the older harder-working pumps, with an estimated 15-year lifespan. 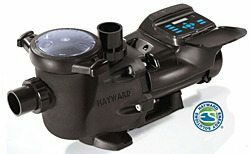 Two companies that offer variable speed high-efficiency pool pumps are Hayward and Pentai. Hayward’s Ecostar SVRS pumps (left) offer a feature that prevents suction entrapment, the integrated Safety Vacuum Release System. Pentair’s Intelliflo® pumps (right) includes an onboard computer to calculate and program minimum flow for maximum efficiency. 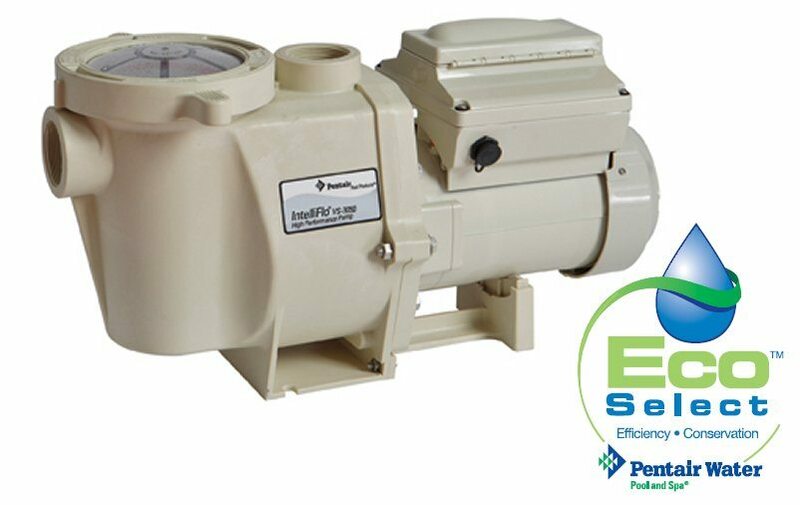 Additionally, numerous utilities are now offering rebates for variable speed pool pumps, so you’ll want to check with your local electric provider.